Precision welds, 5 x 5 centimetre 14 heavy gauge steel frame, and flayed out rear supports are just some of the elements that, when combined, contribute to the weightlifting bench's capabilities, specifically when it comes to supporting up to a whopping 270 kilograms of weight. You can neatly store all the weights away using the dual storage ports located at the bottom of the bench. The mesh inserts on the preacher curl pad don't last very long. If there's any model out there that comes close to the title of the best weight bench, it would have to be the Marcy BE1000. Thanks to the developer's attention to details, this piece of fitness equipment will make you want to throw your gym subscription away for good. 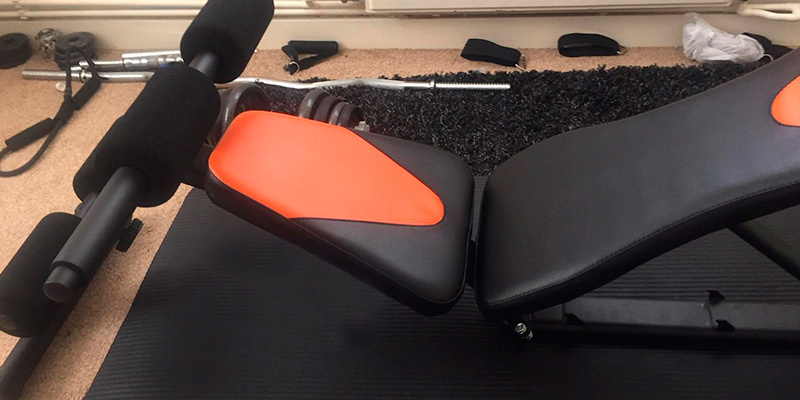 From a flat bench position through to a 90 degrees incline, the device features up to five different seat and backrest positions that will allow you to throw some variety into your training mix. All you have to do to change the angle is just move the backrest support bar to the desired level. The model includes a thick, reliable, and comfortable padding. The light vinyl casing is easily soiled leading to different kinds of stains. The York Fitness 45071 will prove to be a great investment for those people that don't have too much space to waste but still want to be able to access a variety of different training positions and possibilities. The product features a height adjustable barbell rack with up to 5 different adjustments that will provide the user with the opportunity to work on different parts of the body at different angles. The handy folding design allows the user to wrap the bench up so it would take virtually no space in your home. The non-skid pad's quality leaves a lot to be desired. 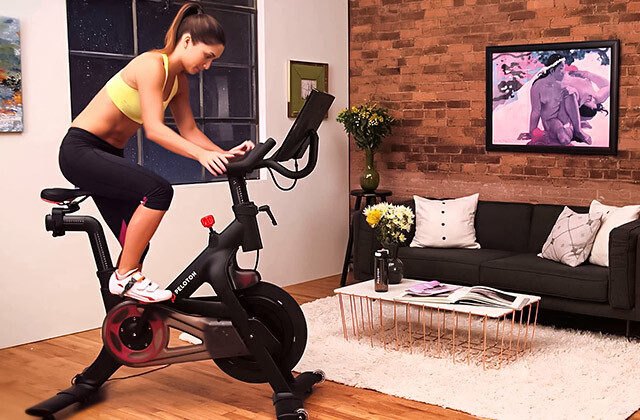 Whether you're an experienced fitness enthusiast that takes his workouts as seriously as possible or an amateur that doesn't necessarily care for pushing your body to its limits, the MiraFit M1 will be able to satisfy your exercising needs. The bench features non-slip grips that are going to come in handy during some of the more intense workout sessions. The rubber feet were added in order to keep the metal frame from damaging the floor and to keep the bench in place. It includes extra thick cushioning for exceptional comfort and the paintwork makes the product stand out visually the way its functions do in terms of performance. The paintwork tends to wear off after some time. 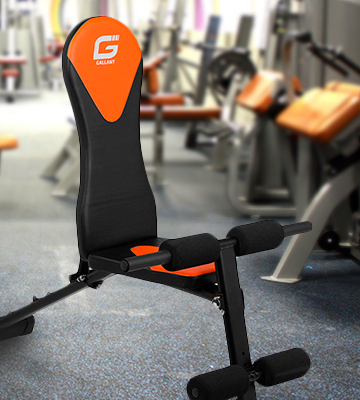 Nobody would really be able to argue against the fact that the Gallant WBN-Y6 is a good weight bench and the one that will continue to attract a variety of customers thanks to its unique design that provides a multitude of potential workout options. The product is based around a heavy-duty steel frame with an extra-thick padding in order to deliver in terms of comfort as well. A quality white powder coat finish gives the otherwise plain looking model a touch of dash and flair. The non-skid feet will prevent the product from slipping away regardless of the surface. Doesn't allow the user to adjust the angle of the incline. The Hardcastle 88502 isn't the most outstanding option on the market in terms of functionality, but it is a simple, durable, and affordable device that knows its job and that does the said job as well as any other model out there. More than enough has been said about the importance of physical exercise and all of the potential benefits it entails. 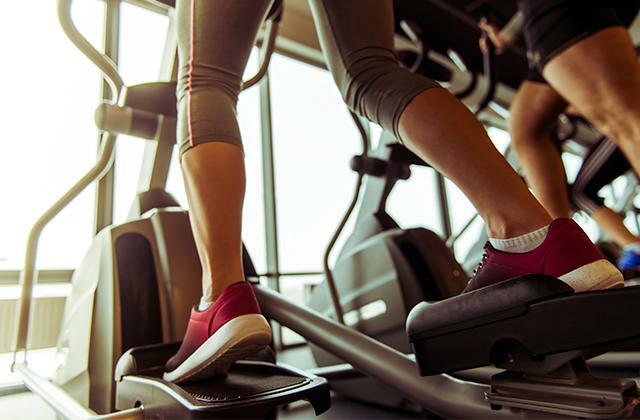 If you're looking for a piece of fitness equipment like the one in question, there's a good chance you're more than familiar with all that jazz. This isn't the model that would interest those that are just looking to engage in some casual exercise from time to time. Well, sure, you can use this Marcy weight bench for these kinds of purposes too, but that would be akin to using a rocket launcher in order to resolve a cockroach issue. Even though the Marcy BE1000 is being advertised as a barbell bench created with the beginners and novices in mind, this is a setup that is much more suited towards the kind of people that take their workouts seriously but cannot afford to waste time visiting the gym on a somewhat frequent basis. The reason that the model in question is capable of epitomising safety and stability lies behind the fact that the developers aren't willing to cut any corners when it comes to seemingly small yet absolutely crucial details. Precision welds, 5 x 5 centimetre 14 heavy gauge steel frame, and flayed out rear supports are just some of the elements that, when combined, contribute to the weightlifting bench's capabilities, specifically when it comes to supporting up to a whopping 270 kilograms of weight, which is a good of testament to the durability of this model as it gets. Delving deeper into exactly what it is that makes this model arguably the best weight bench for home gym, we would first like to point out the multifunctional leg developers that will let the owner of this machine utilise the lower rollers for leg extensions in order to work on your quadriceps and the higher rollers laid flat on the bench if you happen to be in the mood to perform leg curls for your hamstrings. The high in density foam rollers make sure that the user does not feel inconvenienced or uncomfortable with some of the heavier loads, soft yet thick in the form, they are more than capable of distributing the weight throughout the entirety of your ankles in order to alleviate most of the pressure. The key to a successful workout often lies behind the correct positioning of your back. And since Marcy's been in this business for over 70 years now, it should come as no surprise that the people behind this heavy duty weight bench equipped it with a thick comfortable upholstery featuring 2.5-inch padding that does an exceptional job of supporting your back and inducing the feeling of comfort throughout the entirety of your workout. 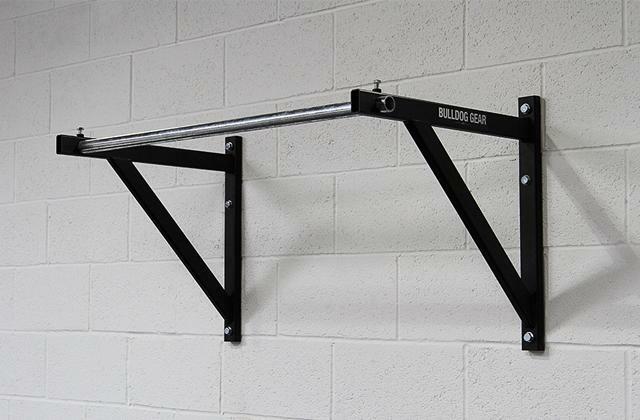 The rack itself incorporates just enough width to allow you to position your hands in a suitable grip for a chest press while still allowing for utilising 5ft, 6ft, and 7ft barbells. To top it all off, a height adjustable preacher is also included in the package, along with adjustable angles, all to provide the customer with the opportunity to receive a full range of motion bicep curl and extensively train different parts of the chest. Once you are done exercising, you can neatly store all the weights away using the dual storage ports located at the bottom of the bench. What else could you possibly need? While the title of the best weight bench may be an ambiguous one, if there's any model out there that is worthy of it, it would have to be the Marcy BE1000. Thanks to the developer's attention to details, this piece of fitness equipment will make you want to throw your gym subscription away for good. 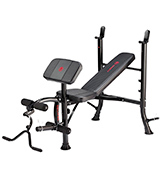 You could certainly say that, at the very first sight, this adjustable weight bench from York Fitness doesn't necessarily seem like one of the more versatile options. It does seem like a comfortable device that would be able to provide the user with the level of convenience needed to a successful and satisfactory training exercise, but you would probably reckon that this isn't the type of model that will be able to deliver a great deal of versatility in terms of working out a considerable variety of different parts of your body. Nevertheless, this is without a doubt one of those cases where you absolutely should not trust that first impression. 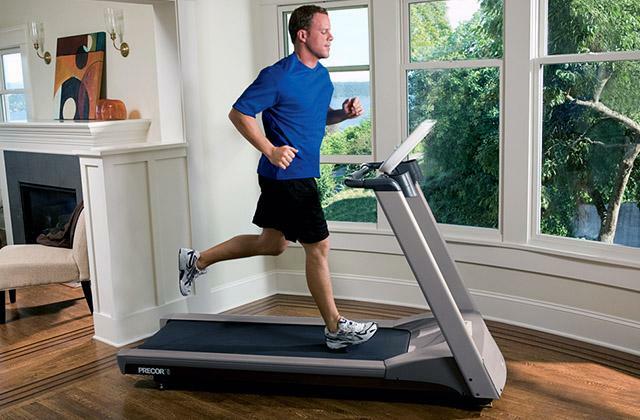 Although the York Fitness 45071 is no slouch when it comes to other important aspects, the model is low-key one of the more versatile and flexible option on the fitness market. 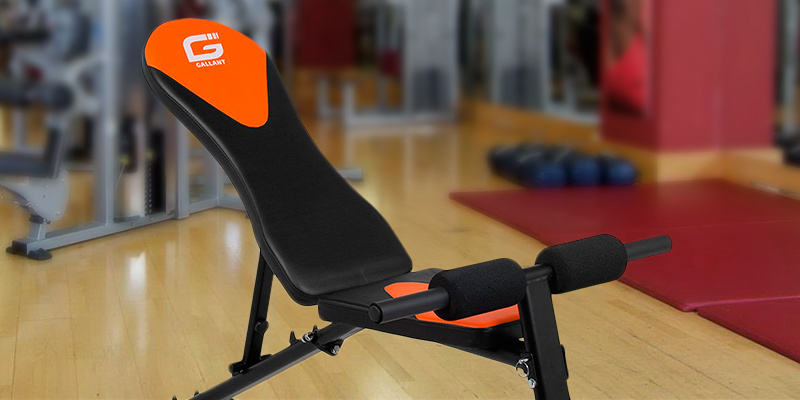 From a flat bench position through to a 90 degrees incline, the device features up to five different seat and back rest positions that will allow you to throw some variety into your training mix. All you have to do to change the angle is just move the back rest support bar to the desired level. 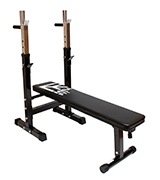 Underneath this York weight bench, you will be able to find a weight storage rack that is capable of holding up to fix different dumbbells and other types of weights and that is included in the package completely free of charge. 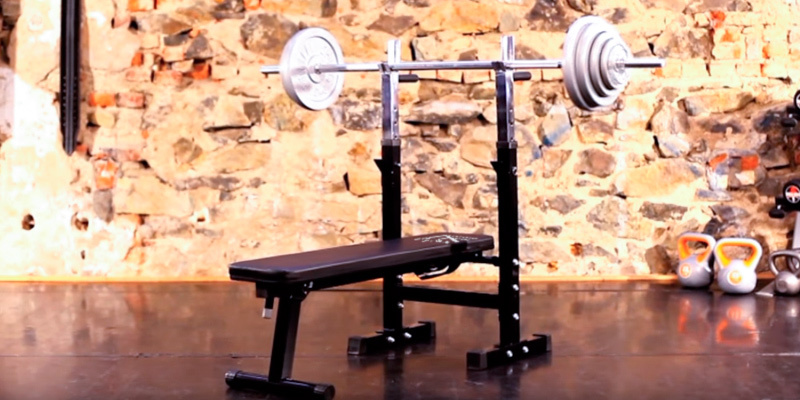 This setup will grant you the option of using this model as a press bench by utilising a pair of dumbbells and performing a pressing motion on a flat bench or, if you feel so inclined, you can even change the angle based on your training goals. 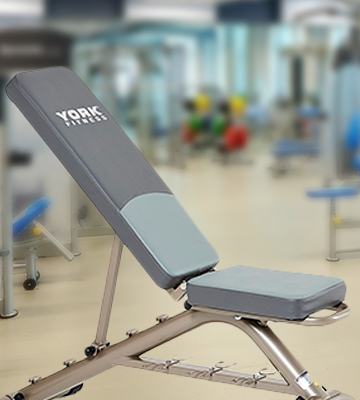 Other than being surprisingly versatile, all of the other elements of this compact weight bench are exactly what you would expect from York Fitness, a company that has been at the forefront of the fitness equipment industry for the past 80 years. The model has been created utilising a thick, reliable, and comfortable padding. The cushioned platform in question will be able to ensure the ability to increase your training performance and endurance. 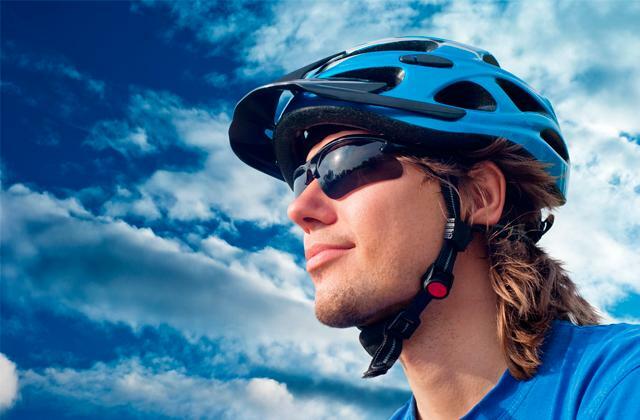 It should go without saying that safety can be just important when it comes to working out as convenience and comfort. And since this isn't York Fitness' first rodeo, they were absolutely right to use a durable tubular framework as the base for this model in order to ensure a safe and stable workout environment for a large variety of different training exercises. However, as one might expect, they didn't stop there and also decided to equip the product with wheel rollers and a handle so you wouldn't face any challenges moving it around your house in order to find just the right place for a perfect workout. To top it all off, this piece of fitness equipment is capable of withstanding up to 200 kilograms of weight, which isn't too bad of a number given rather modest dimensions of this model. 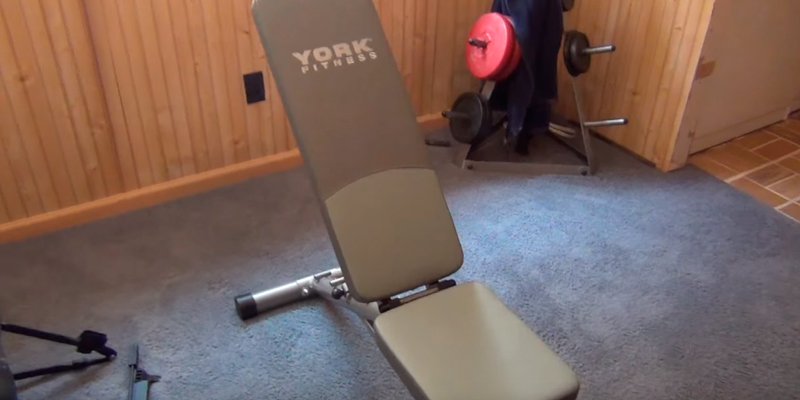 In conclusion, the York Fitness 45071 will be a great investment for those people that don't have too much space to waste but still want to be able to access a variety of different training positions and possibilities. It would seem like taking care of your body through regular physical exercises ought to be one of the more neutral and basic philosophies. Nevertheless, for quite a whole lot of people, it is a subject of heated debates. The concept of working as hard as you can and pushing your body to the absolute limits has been described and discussed ad nauseam, just as much as the opposite idea of simply staying in shape and keeping your body in good physical condition. 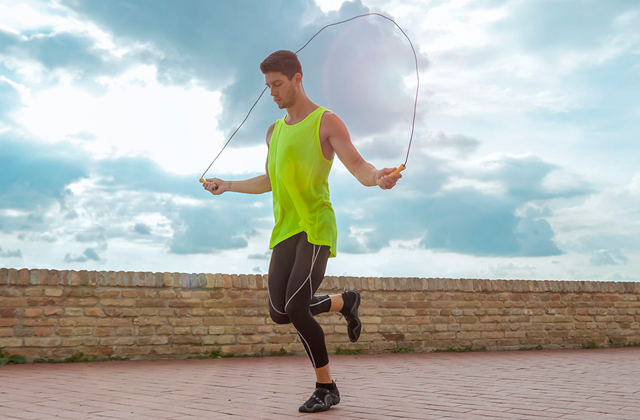 Obviously, it is up to you to decide which principles to adhere to and up to MiraFit to deliver a proper piece of fitness equipment regardless of those principles. 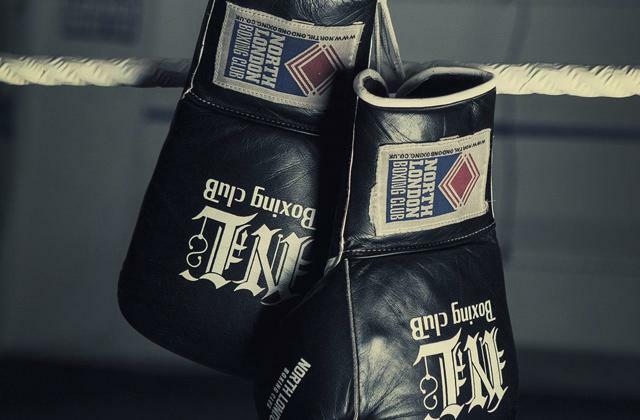 To put it bluntly, most manufacturers of gym gear generally tend to go one way or the other, either constructing a device that is best suited for the so-called gym rats or the one that would better fit some of the more casual crowd. 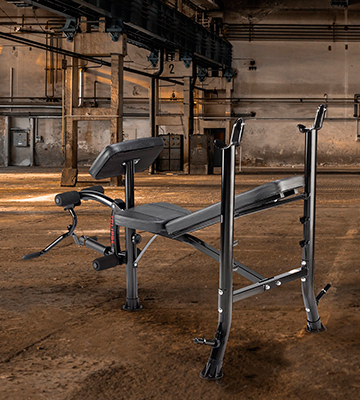 MiraFit with their latest folding weight bench decided not to choose any of those extremes and created a product that will be able to satisfy both of the previously mentioned camps. To start with the basics, the company designed a strong steel construction with comfortable black padded cushions, making sure that the model is as comfortable as it is safe and secure. Thanks to the said construction, this device is capable of withstanding a maximum load of up to 300 kilograms, which isn't necessarily something you would expect given the rather limited overall dimensions sitting at 125 x 99 x 57 centimetres. Well, limited might be a bit of an exaggeration, since, with almost a metre in width, this wide weight bench will be able to accommodate a large variety of different customers. 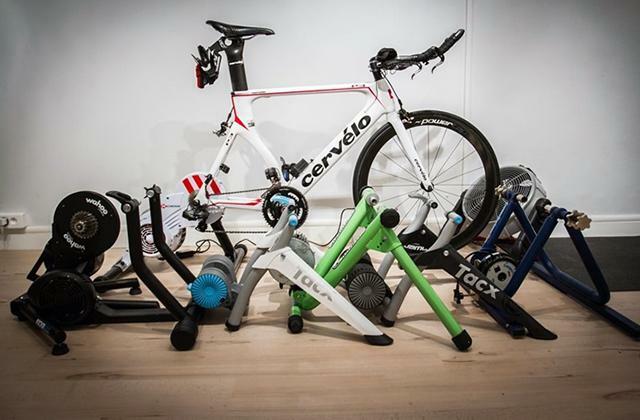 Another thing that makes this model so great for some of the less experienced fitness enthusiasts and total amateurs is the fact that this model is actually quite easy to assemble, with all of the required parts being included in the package, not excluding a comprehensive instruction manual that will easily guide you through the entire process. Going back to the design aspect of this device, we would like to mention that the product features a height adjustable barbell rack with up to 5 different adjustments that will provide the user with the opportunity to work on different parts of the body at different angles. The handy folding design allows the user to wrap the bench up so it would take virtually no space in your home. 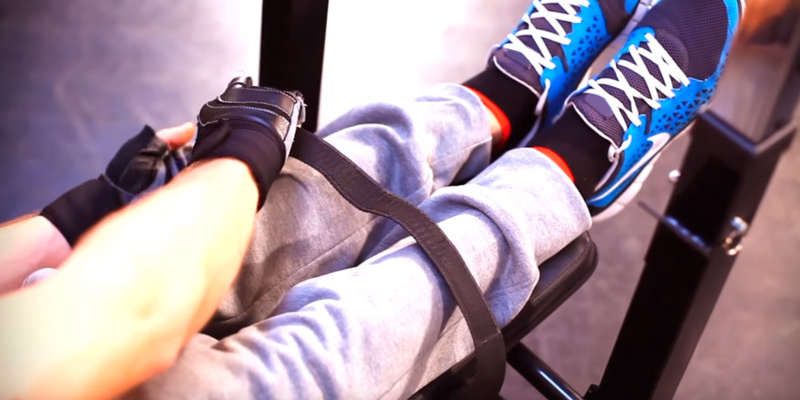 The said design will also provide the owner with the opportunity to decline the bench for situps and ab work, using foot straps that are included in the package. The last aspect we would like to touch upon before wrapping the whole thing up is the dip station that is located on the rear side of this folding weight bench. Utilising a couple of hand grips, the said station will allow you to develop your chest, deltoids, and triceps. So, whether you're an experienced fitness enthusiast that takes his workouts as seriously as possible or an amateur that doesn't necessarily care for pushing your body to its limits, the MiraFit M1 will be able to satisfy your exercising needs. The Gallant WBN-Y6 is one of the more peculiar examples of exercise equipment. It's quite hard to tell whether the success of this model is based on its unique design or if the company managed to do that in spite of it. However, if there's one thing that could be said for sure, it would have to be that one of the biggest driving forces behind the device's considerable commercial success is the idea of incorporating some of the best solutions that the world of fitness equipment has to offer and letting go of those standards that have overstayed their welcome. Setting the whole thing up shouldn't prove to be a challenge to overcome since the model is easy to assemble and an instruction manual comes with the package. Once you're done with the installing process, this folding weight bench can be used for virtually any kind of training you could think of. The model is capable of inclining or declining from a flat to a ninety-degree angle, providing you with the opportunity to choose from one of the 4 available positions. The positions are easy to adjust, so even if you do not have a ton of experience operating similar devices under your belt, you should be able to pick it up in no time. 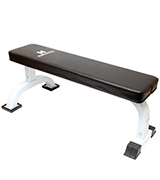 Furthermore, this versatile and multifunctional bench can be used for training biceps, triceps, chest, and shoulders. And if you feel like that isn't enough for your needs, you will also be presented with an opportunity to use as a sit up bench when placed in the decline position for an abdominal workout. When it comes to gym benches, there's hardly a more important aspect than the durability and security of the product in question. A solid structure and a reliable construction can make it the same way a shoddy framework can break it. Luckily for us, it would seem that the people behind this product were more than aware of this phenomenon while they were busy developing the bench from scratch, given that the model comes equipped with a heavy-duty high-quality steel frame, a high-density padding, and a non-slip vinyl upholstery. The aforementioned sturdy frame ensures exceptional durability and provides the customer with the option of handling a maximum weight capacity of up to 100 kilograms. On top of that, the bench features non-slip grips that are definitely going to come in handy during some of the more intense workout sessions. That's not to mention the rubber feet added in order to keep the metal frame from damaging the floor and to keep the bench in place. The model doesn't disappoint when it comes to convenience and the overall look. It features extra thick cushioning for exceptional comfort during the entirety of your workout and the paintwork makes the product stand out visually the way its functions do in terms of performance. 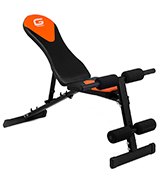 Though the product doesn't include a squat rack, nobody would be able to argue against the fact that the Gallant WBN-Y6 is a good weight bench and the one that will continue to attract hordes of customers thanks to its unique design that provides a multitude of potential workout options. 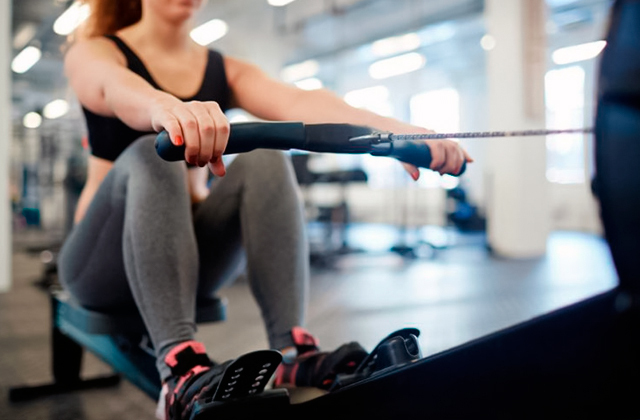 Wouldn't you say that exercising used to be much simpler back in the days, before all of these fancy new ideas and design solutions started to flood the fitness market? Sure, some of them are quite useful and a good percentage of these devices certainly look the part, but how much they are actually willing to offer you often pales in comparison to the kind of inconvenience these bulky machines can entail and the sort of outlandish price tag they tend to come with. If you feel the same way and don't exactly get too excited over the prospect of paying a king's ransom for a piece of fitness equipment, the Hardcastle 88502 might just be right up your alley. Although one of the biggest advantages of this flat weightlifting bench would have to be the fact that this is one of the cheapest options on the market, that is far from the only thing that makes this model so attractive to the kind of customers that aren't interested in wasting their money on shiny and often useless pieces of fitness equipment. Though this is a flat bench that doesn't allow for any kind of adjustments, it is capable of withstanding a maximum load of up to 250 kilograms and the max user weight of about 130 kilos. 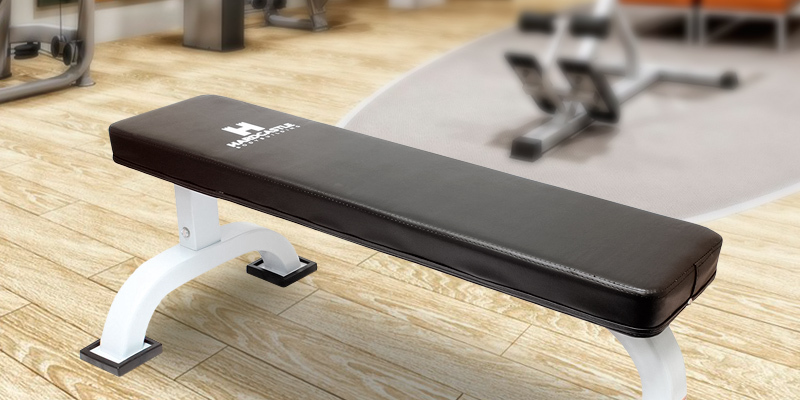 Despite the fact that this semi-pro flat weight bench from Hardcastle is capable of withstanding the previously mentioned load, it is one of the more compact weight benches out there, featuring no more than 111 centimetres in length, 59 cm in width and exactly 40 centimetres in height. It doesn't take an expert to assemble the model, but you should take into consideration the fact that the tools required for assembly are not included in the package, so you might want to gear up before ordering this product online. Being able to handle up to 250 kilograms of weight with this kind of modest dimensions, the model had to be made using only the most sturdy and reliable materials. The manufacturers knew about that, of course, which is exactly why they based this product on a heavy-duty steel frame with an extra-thick padding in order to deliver in terms of comfort as well. A quality white powder coat finish gives the otherwise plain looking model a touch of dash and flair. The non-skid feet will prevent the product from slipping away regardless of the surface. All in all, the Hardcastle 88502 isn't the most outstanding option on the market in terms of functionality, but it is a simple, durable, and affordable device that knows its job and that does the said job as well as any other model out there. What Is a Weight Bench? Muscle gaining is not as easy as it seems. It isn't something that happens without hard work. Your workout routine plays a vital role in getting a proper muscle shape. If your purpose is to gain mass, you need to hit the major muscle groups. However, it's impossible to build your chest muscles without bench pressing to efficiently recruit your pectoral muscles. If you like the idea of at-home workouts, make sure you get the right home exercise equipment for every type of workout, in particular, barbells, weight plates, and a weight bench. In this review, we'd like to take a closer look at the weight benches. 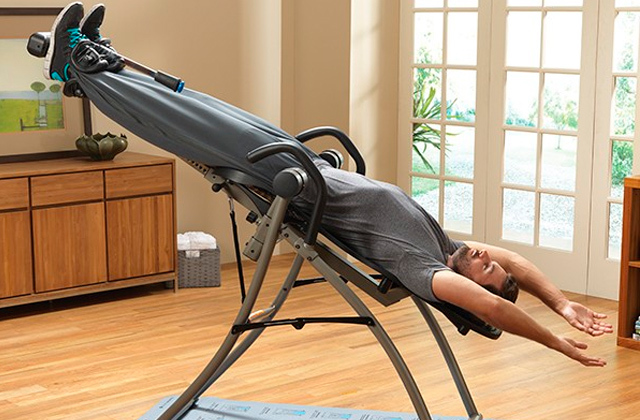 This multi-functional high-quality exercise equipment will allow you to perform a variety of bench-assisted exercises to make your dream body a reality. The pull up bars are excellent tools to perform an intense upper body workout at home, while with the help of the weight vests, you can gradually increase your training load, strength, and endurance. Before choosing a weight bench, you have to decide what exercises you are going to perform for targeting specific muscle groups. Today there are different types of weight benches available on the market. In this weight bench review, we will take a look at some of the most popular types of weight benches. If you want to create a fully functional home gym that won’t take up a lot of space, you should decide in favor of the Olympic Bench. It normally comes with a squat rack for storing the bar and weight plates as well as additional home gym equipment such as a preacher curl for biceps and a leg curl for legs. As it's clear from the name, you can adjust this bench from flat to incline position. This allows you to distribute the weight evenly across your chest, delts, and triceps. This type is ideal for the classic bench press. Despite flat benches are not as versatile as adjustable ones, you can perform a variety of exercises on the flat surface, like, for example, doing renegade rows with dumbbells or holding a dumbbell with both hands in front of your thighs. Max load means a maximum weight capacity of the bench, including the maximum user's weight. The total weight capacity of 400 lbs will be enough for beginners. However, those who lift heavier weights should consider buying a bench with a higher weight capacity. Dimensions of the bench (the width and weight of the base in particular) significantly affect its support and stability. The sturdier it is the more you can bench press. A good quality bench should have a heavy-duty steel frame to last longer. 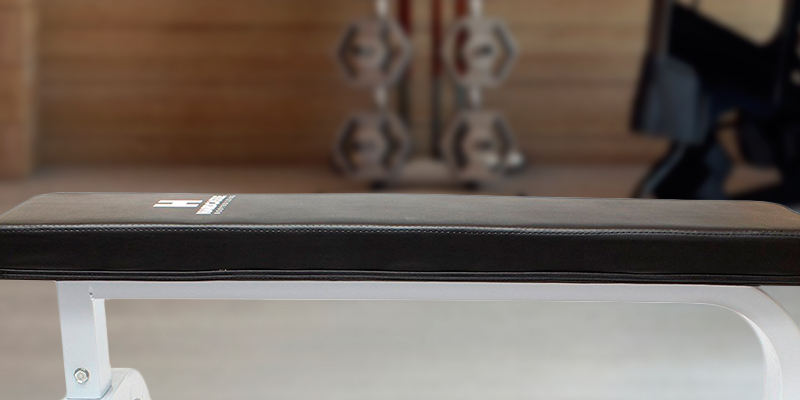 A high-density padding coupled with non-slip vinyl upholstery add enhanced comfort during workouts. Also, the bench construction influences its functionality. A multi-position weight bench can be adjusted to multiple angles for a variety of exercises. Besides, the non-skid feet not only provide added stability but also protect the surface from scratching. Finally, the leg hold-down brace is designed for added decline position support which is important for abdominal exercises. This particular purpose is quite simple and is probably the one that most people have at the very least heard of. One of the more popular applications of weight benches is to provide the support system required to lift some of the more heavy weights. The reason they're so indispensable when it comes to these exercises is that they don't tend to break and never really buckle or bend under virtually any type of strain. On top of that, having such a reliable workout "partner" can give the fitness enthusiast a boost of confidence that would allow him to focus on the exercise itself without having to worry about losing balance or control of the situation throughout the entire procedure. Target Various Angles of the Muscle. This is mostly about the "trick" known as hyperextension, which is more often than not a difficult feat to perform without a weight bench and an easy task to accomplish with one of these tools at hand. The aforementioned movement is more than helpful in regards to improving core stability, posture, and strengthening the lower back muscles. Develop Specific Muscle Groups That are Otherwise Hard to Reach. One of the less known advantages of a gym workbench is that it can provide the user with the opportunity to execute rear deltoid dumbbell rows in a sitting position which is much more efficient in terms of working out the muscle with the same name compared to standing exercises. The reason for that lies in a simple biological fact - human body tends to be much more stable in a sitting position and that, in turn, means that it'll be a better job of developing those muscles. Most people tend to use fitness benches paired with a bar or a dumbbell. And while there's obviously nothing wrong with that, it doesn't necessarily have to be used in conjunction with one of these gym tools. The device can be utilised as a step for step ups, as a stand for push-ups, or as a mat for a variety of abdominal exercises. Provide Invaluable Benefits for Beginners. Not necessarily a useful application for some of the more experienced fitness enthusiasts, but weightlifting world's newbies often struggle to memorise proper posture, technique, and some of the breathing guidelines. Some tend to use the momentum of the body while performing different kinds of exercises, which is never a good practice. On the other hand, training with a weight bench can help the newcomers eliminate these issues and help them develop useful and effective training habits. Q: What are the benefits of workout benches? A: A weight bench is a great piece of exercise equipment for your home weight lifting routine. 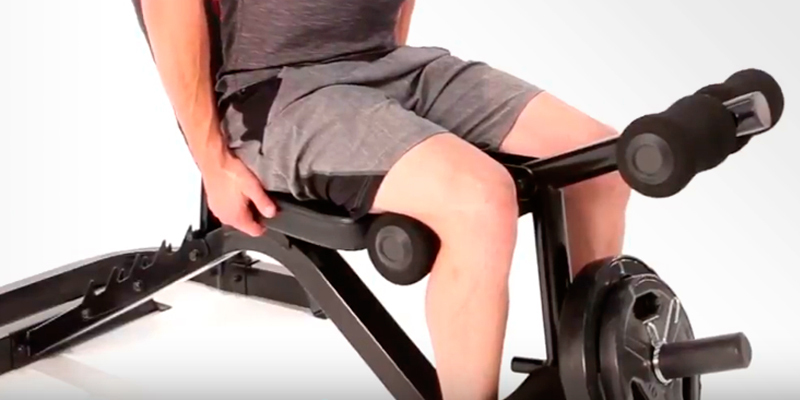 A high-quality bench provides users with reliable support while they perform a variety of exercises - either lying directly on the bench or bracing against it for extra stability. Also, the bench can be used with additional equipment such as dumbbells, squat racks, weight plates, power racks, etc. 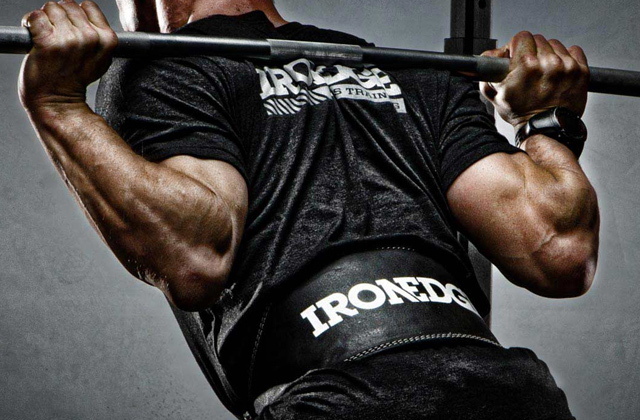 Q: How do flat, incline, and decline options for a bench affect my training? A: The ability to adjust the bench angle can shift the focus to particular muscles. For instance, when performing a bench press from an inclined position, you target your upper pectoral muscles to a greater extent and increase the load on your shoulders. On the contrary, when performing a bench press from a declined position, you shift the load towards the lower pecs and decrease the focus on your shoulders. Adjustable incline benches are more preferable, as they provide more options than conventional models. 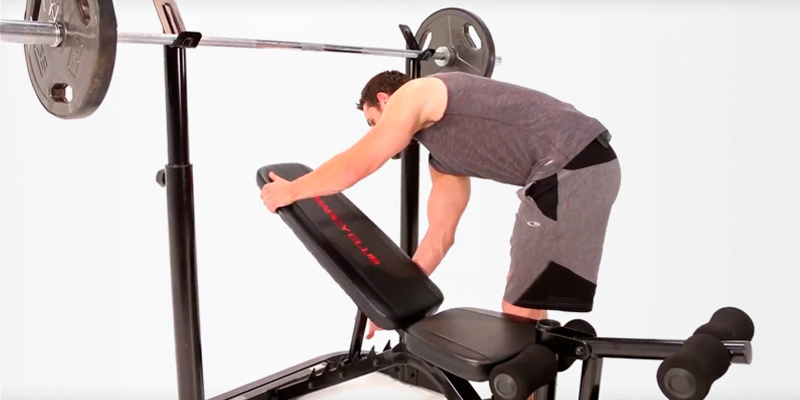 A fully-adjustable bench can be set into flat, inclined, and declined positions, that allows you to do a variety of exercises like seated military presses for increasing your shoulder width as well as variations for other muscles groups like decline tricep extensions or incline dumbbell bicep curls, and many more. 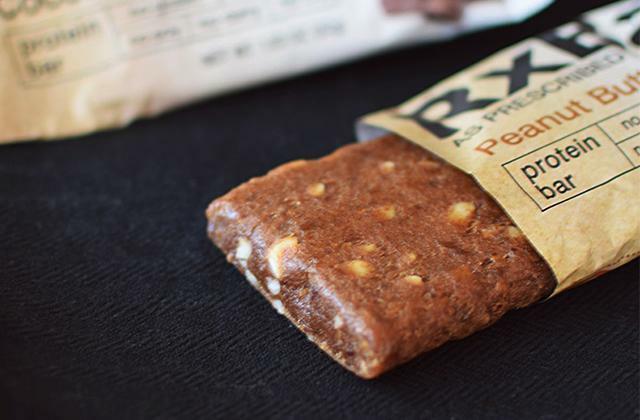 This can take your strength and muscle development to a whole new level! 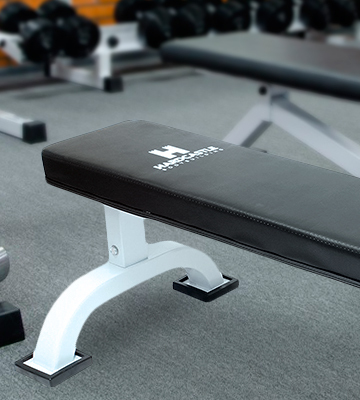 Q: What are the key features to look for when purchasing a weight bench? A: When it comes to buying a weight bench, the following features should be taken into consideration: adjustment positions, max weight load, dimensions, and convenience of use. Also, you should check whether the chosen workout bench is for domestic or commercial use. Q: What weight rests are more suitable for a weight bench? A: It’s better to opt for a workout bench with V-shaped weight rests that can safely accommodate a barbell of any diameter and prevent it from moving. Q: What are the benefits of an inclined back rest? A: The main benefit is user's comfort. 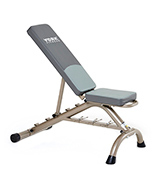 Adjustable backrests enable you to do a greater variety of bench press exercises. Besides, incline bench presses have a better effect on more body muscles. The closer you are to a barbell the more effort you will need to put and consequently, the more body muscles you'll hit. Q: What type of weights do I need to use? A: With a sit-up bench, add only dumbbells to increase training intensity during sit-ups. Actually, weight benches can be used with dumbbells, barbells, weight plates, weight disc attached, and other weights, depending on your training routine. So, if you plan to add more gear to your training program, check the maximum weight capacity of the bench and the weight of the barbell. Q: Why is the sit-up bench curved? A: The sit-up bench is curved at an ideal angle for comfort and maximum safety of your back. Simply hook your legs over the end rests and pull your upper body into a sitting position using your ab muscles. The curve shape helps put less pressure on your coccyx. Q: What padding do I need for my weight bench? A: The padding should provide cushioning, yet be sturdy so as not to affect your posture and technique. Also, high-density padding should be covered with a durable stitched vinyl upholstery. 1. Picking the right weight bench, Fitness.Com. 2. Andrea Cespedes Standard vs. Olympic Weight Bench, LIVESTRONG.COM. December 13, 2016. 3. 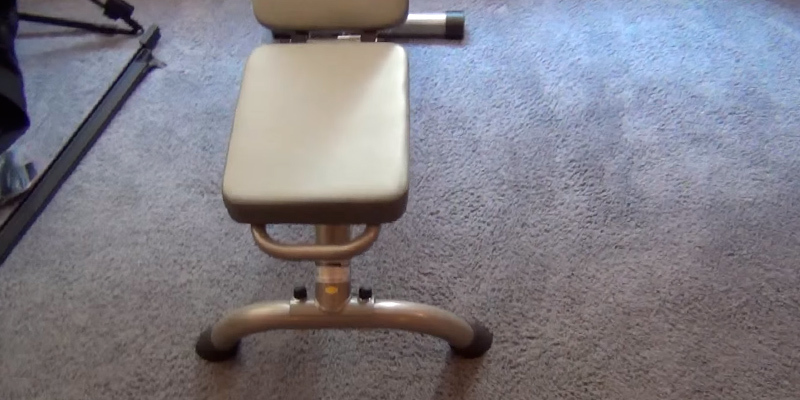 Workout Bench Buying Guide, eBay. March 3, 2016. 4. How To Use a Weight Bench, dummies. 5. Eilliot Hulse The bench press workout routine to build all-around strength, Men’s Fitness. March 6, 2017. 6. Bench (weight training), Wikipedia. December 5, 2016. 7. Jake Boly 11 Undeniable Benefits of The Bench Press, Barbend. December 27, 2016. 8. Naomi Tupper 10 Benefits of Strength Training for Women, Calorie Secrets. 9. Strength training Wikipedia. March 13, 2017.